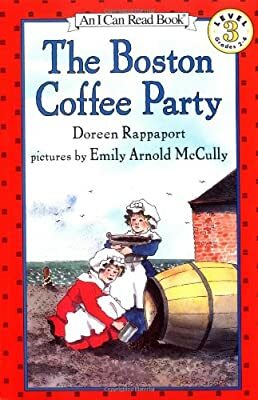 Author: Rappaport, Doreen Set In . . .
During the Revolutionary War, times are hard in colonial Boston. Greedy Merchant Thomas is overcharging for sugar. Then he locks up all the coffee so he can overcharge for that too! Young Sarah Homans wants to teach him a lesson. Merchant Thomas is about to attend a party he won't soon forget.